Sand elves: A large and imperialistic empire. Proud and strong, possessed of a strong militaristic tradition, they are extremely raciest and fearful of the effects that outside influences may have on their culture. 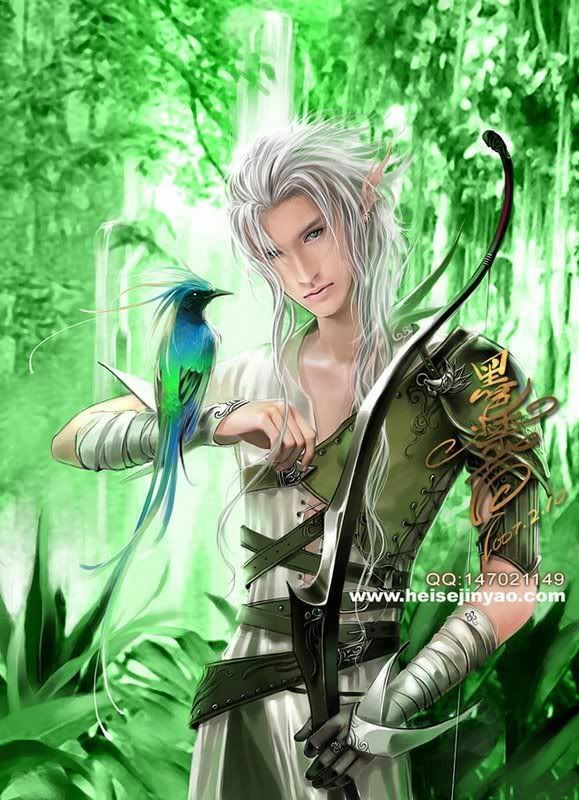 Forest elves: Reclusive and mysterious, rarely do they leave their forest homes, preferring instead to keep to themselves and allow the world to turn without their interference. Goblins: Nomadic barbarians they have little use for art or culture preferring instead to live the lives of raiders and highway men. Preying of the weak to fill their coffers and bellies. Gnolls: Brutal an blood thirsty Gnolls live for battle. Forming their society around their greatest warriors they pliiadge and burn to prove their worth an gain status. 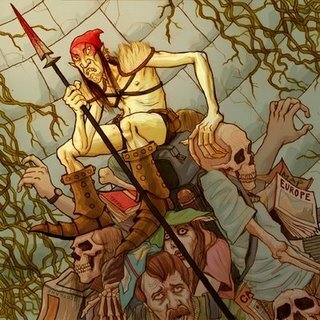 Redcap: Distant cousins of the goblins they are a largely solitary people. Cunning and long lived they have always made a habit of skulking around game trails in the wilderness, laying in wait for whatever unfortunate animal travels there. However with the expansion of civilizations and the consistent pushing out of their usual prey they have found that roadways serve much the same purpose. Seeing other humanoid creatures as little more than game some have taken to laying in wait near roads setting devious traps for unwary travelers. Expect more as time passes yo! I'd rather the images be compelling the same media. I know that may be hard, but it gives a sense of world when the images represent a same style. I like some of the ideas. They made need some work on them though. What do you suggest? And you'd be right to assume it's difficult to find images from the same media. In fact it's pretty near impossible. Really, it's just a way for people to envision about what they look like. It isn't that hard at all. Just to gather images from the same artist. It really isn't that hard at all. But reading on the OOC of RPGFO you should know that we aren't doing races for this unless its really that good. And this is just a summary of a few ideas that aren't thought out fully. has a new rule about races come to effect? We're still going to do the case by case situation. If it is something really thought out then we may consider it. But no we're not. I'm just saying for general we'd all like the style. I spend plenty of hours collecting images with similar styles and I rather images sorta match. Just out of curiousity what is the stance on things like mutation, modification through magical engineering or alchemy, and things along that line? We haven't gotten to monsters very much yet, since we are working on the religious system and several other things, but we will consider it when the time comes. Mutation- Could be people that had negative reactions to being objects of magic spells and have developed things like horrendous features, enhanced strength, resistance to magic, extra limbs in odd places. Things such that would create social outcasts and beings that would have incredible amounts of hate for those of the magical caste. Magical engineering- Intentional modification though magical means. Subtle things such as slight genetic modification that increases stature and strength in people, more obvious changes such as giving a person stone skin or wings. The one modified would be magically bound to the one who made the modifications. Alchemy- using potions to transform someone into something out of the alchemist's imagination. You could have your werewolves, dire wolves, mythical beasts anything that springs to mind. The new creature would owe no allegiance to anyone and the process is long and painful. They become mentally equal to what the creature they transform into would be if they are not driven mad from the pain of the transformation. All of these would be highely illegal and usually very rare. Any mage found to have done these things would be sentenced to death. Does that sound like something you could use Reverie? I've been working on a monster race surrounding a similar idea we will encounter called the Defaced. All of those sound like good ideas. Scourge, for those who dont know, care to elaborate about the Defaced? The Defaced are beings who tried to dabble in raw magic. Raw magic is the energy where magic comes from. It doesn't take on a form, and in its raw pure state it can easily be tainted and poisoned. These men are not people who can handle such raw energy. And in a sense the raw magic taints their bodies and souls and rips everything that was once human of them and turns them into monsters, beast like beings who no longer represent the humanity they are.